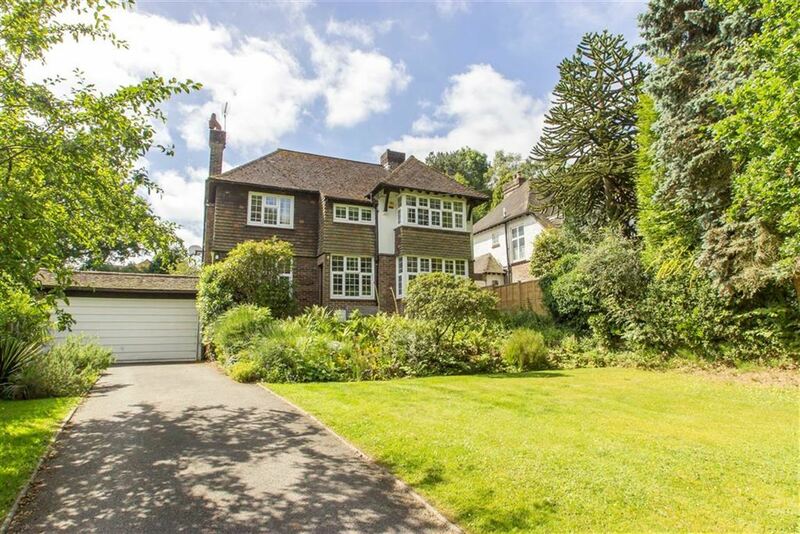 Located just off the historic High Street of Old Oxted with its wealth of period properties. Close by is Oxted town centre which offers a wide range of shopping facilities together with leisure pool complex, cinema, library and railway station with service of trains to East Croydon and London. Both private and state junior schools together with Oxted School are present within the area. Sporting and recreational facilities are generally available within the district. For the M25 commuter, access at Godstone Junction 6 gives road connections to other motorway networks, Dartford Tunnel, Heathrow Airport and via the M23 Gatwick Airport. From our office proceed down Station Road West to the roundabout and turn left into East Hill Road. At the T junction with the A25 turn right into West Hill (A25). Continue along the A25 and down the hill passing the Total Garage on your left and take the next left hand turning into Old Oxted. Proceed up the High Street of Old Oxted passing The Bell public house and Beadles Lane on the left hand side. As you leave the High Street before rejoining the A25, bear left and the property will be located just after Bushey Croft. Recess under stairs, laminate flooring, stairs to first floor. Low suite wc., wash hand basin, shower cubicle, chrome heated ladder towel rail. Laminate wood flooring, double doors leading to rear garden. Modern and extensive range of fitted units comprising base drawers and cupboards, dishwasher, large refrigerator, washer dryer, walk-in pantry, cooker range, double glazed door to side covered passage way. Door to front and rear, racked shelving. Trap to loft with extending loft ladder. Attractive double aspect room, range of wardrobe cupboards (railed and shelved). Modern white suite of enclosed bath with mixer tap and hand shower attachment, wash basin, heated towel rail, built-in linen cupboard. Double Garage - up and over door, light and power, combination gas fired central heating boiler, rear personal door, driveway parking for several vehicles. Front Garden - laid mainly to lawn with mature flower/shrub borders and steps leading to raised paved pathway to front door. Large Rear Garden - paved patio, areas of lawn, mature shrub borders, greenhouse. NOTE: A gardener will be supplied for the upkeep of the lawn and hedges. Tenant responsible for upkeep of the borders.